People have started traveling more and more frequently over the past four decades. Travel is now a multi-billion dollar global industry. As a consequence, travel is getting more and more complicated as associated businesses like travel agents, cruise lines, tour operators, rental car operators, airlines, etc, figure out more efficient ways to separate you from your travel dollars. Numerous books have been published to show us how to travel on a budget, or stay healthy and safe when traveling. Similar books show us how to plan our cruises, book airline flights, and take road trips. Other references tell us how to book hotels and resorts, or purchase travel insurance, and do the myriad other tasks of planning and consummating our travel. But few books have attacked and compiled these thorny aspects of travel in an all-encompassing tome . . . until now. 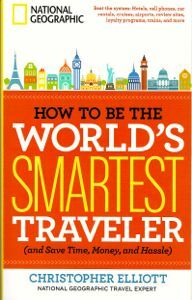 This book review is about National Geographic’s new 2014 release, How to Be the World’s Smartest Traveler (and Save Time, Money, and Hassle), written by Christopher Elliott—Nat Geo’s resident travel expert—covers all of these important travel bases, and many others, succinctly. After reading this book, I don’t see how a travel writer can function efficiently without it. It’s as close to a panacea for the multiple problems that crop up while you’re traveling, as you’ll ever find in print. And travel writers are not immune to the vagaries of travel! Having the title of travel writer on your business card does not guarantee your travels will be smooth and safe. Stuff is going to happen when you’re on the road—usually when you’re not expecting it. Peter Greenberg’s Travel Detective (2001) was an early pioneer in this field covering several travel topics, but Elliott’s new release is far more comprehensive, and, of course, up-to-date. Each of How to be the World’s Smartest Traveler’s 22 chapters is kept short-and-sweet, with plenty of sub-headings. This concession to rapidly failing middle-aged eyes is much appreciated. So is the clearly written advice on organizing and implementing your excursions, whether it’s regional, national, or international. Chapter 2 has a checklist to help you determine whether you should employ a travel agent to handle your travel arrangements, or when you can do it yourself. Chapter 14 tells how to resolve your travel complaints, while Chapter 15 shows how to wangle your best hotel stay possible. Chapter 5 points out the ins-and-outs of travel insurance (a precaution in which most of us are notoriously lax), and Chapter 10 covers ‘Making Sense of the World of Air Travel’, essential knowledge that can cost you big time if you’re even a little bit deficient. Sadly, uninitiated and unprepared travelers these days tend to get bitten on the rear end when they make inadequate preparations, while savvy travelers have a far smoother ride. When How to be the World’s Smartest Traveler isn’t saving you from travel glitches it’s showing you how to extract the maximum value from your travel dollar. It wrings the subject dry, in fact, another reason why this should be required reading for travel writers. My favorite chapter, perhaps written tongue-in-cheek, but nevertheless offering sound actionable advice is Chapter 22, ‘Survive a Timeshare and Travel Club Presentation’. 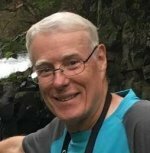 Here, Elliott advises tourists to be on the lookout for the pitch, wary of the sales process, and how we can avoid buyer’s remorse. He says, have a ready answer for aggressive salesmen, like, “I’m leaving tomorrow”, or “We have a timeshare we’re trying to sell” to get the monkeys off your back. 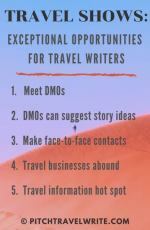 How to be the World’s Smartest Traveler is an excellent and easy-to-read oracle for travel writers and tourists alike, with 287 pages of sound advice to keep you solvent and out of trouble on your journeys. 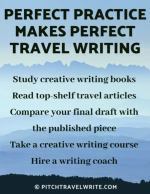 I've written this book review to help spread the word to travel writers and tourists - How to be the World's Smartest Traveler can save you much heartbreak and irritation and enable you to enjoy your travels more.